This morning, 30 September 2012, at Holy Nativity Orthodox Church in Langley, British Columbia, Daphne and I were commissioned by Father Michael Gillis to serve as a long-term missionary family with the Orthodox Church in Tanzania, Holy Archdiocese of Mwanza. In the PS below you can find the text of the prayer that was said over us during the service. 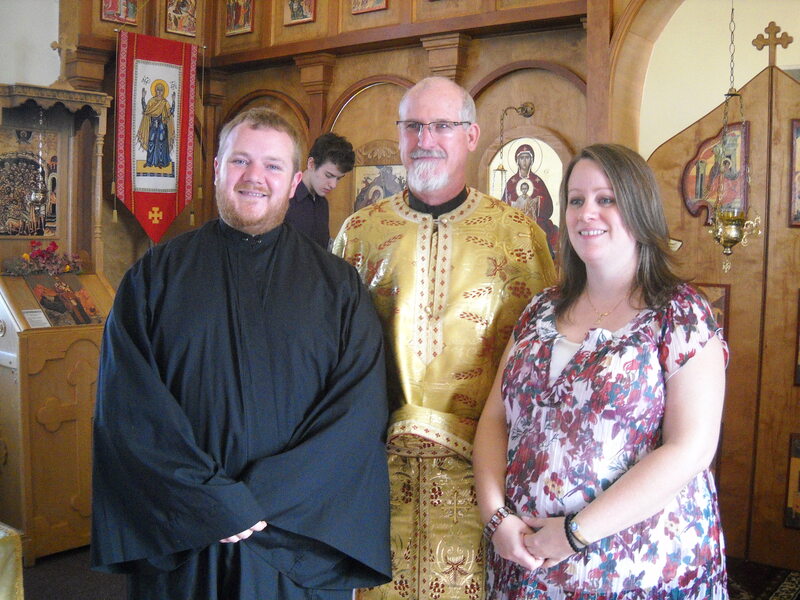 This commissioning was the final step in our being sent as missionaries by the Orthodox Church here in North America. Your love, prayers, and support were joined together with those of the people who were physically present. Surrounded by such a great cloud of witnesses, we look forward to the coming years with great joy. The journey begins as we leave for Africa on Tuesday, October 9th. Before we leave, we plan to send a letter describing the work we will be engaged in, and a bit of background about us. We will enclose a card with our photograph and a prayer for missions as an aid as you remember us in your prayers. If you would like to receive this, please email us your physical mailing address immediately.